Barrett Cobb’s childhood was filled with literature and songs. As a young child one tune stayed with her, almost as a lilting lullaby. Eleanor Farjeon wrote both the words and melody which were first published in Nursery Rhymes of London Town in 1916 and adopted by the American Girl Scouts evolving the little tune into a folk song reflecting to the world a different time, place, and culture for most of the world. As with most folk songs, throughout the years the song has been modified slightly with the tune and alternative words. This book focuses on the original version. The book is based on a basic three-versed four-lined poem. Some of the vocabulary could be difficult depending on the past experiences of the readers. The story was written with sheep wandering through the nearby hills and uses words, not always commonly spoken in today’s city culture. Some words need to be introduced such as shepherdess, ebony, ram, ewe, fleece, wether, and shan’t. The book explains that a wether is a lead sheep which could be compared to the game Follow-the-Leader. 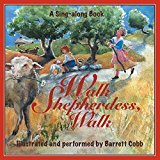 The music is beautifully performed by the author, Barrett Cobb and can be downloaded through the website listed in the book. The melody is an easy tune which quickly can be a haunting selection, staying with you for days. The simplistic tune is sung by Barrett, who has a beautiful, well-trained voice adding accompaniment harmonies, flute and piano into a memorable performance. Twelve gorgeous watercolor paintings perfectly parallel the story in poem form as the story progressing reinforcing the poetic story. 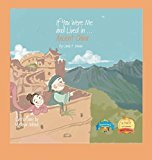 After a few readings, it is easy for a young prereader or early reader to sing the melody as the pages are turned with the pictures reinforcing the words. At the conclusion of the tale, a narrative explaining the poem assists in further demonstrating the theme being jealousy and how to appropriately recognize and turn this into a positive life lesson. Barrett Cobb is a painter, singer, flutist and now a visual storyteller turning a childhood folk song is an enchanting life lesson for everyone. Gertrude is a goat and Toby is a turtle who are best friends and live at McFarland Farms. They are in the farmyard observing Farmer Sam and his son, Ryan trying to load their prize pig into a trailer to show at the county fair. Anxious for adventure, Gertrude and Toby decided to follow Farmer Sam, his son, and the pig. As they were walking, they noticed a flying carpet that seemed to be following them. Almost immediately a girl and boy leaped onto the carpet while being chased by a witch. Curious, Gertrude tossed Toby onto her back in pursuit of the children. Surprisingly this how Gertrude and Toby meet Hansel, Gretel, and the Magic Carpet including additional visits from The Gingerbread and The Giant from Jack and the Beanstalk. In Gertrude and Toby Meet the Wolf, the two friends sneak off the farm every Friday while the farmer is shopping. This time the two decide to go fishing. As they near Trout Lake, a boy rushes by screaming, “Wolf.” Quickly they hide in the nearby bushes for safety. As they continue, the boy runs by again screaming. After he passes, the twosome walk to the lake, enjoying their fishing. Again they are interrupted when the boy shouts again only, this time Gertrude and Toby see the wolf dragging the boy. That is when they decide to help. They followed the wolf to his cave which is very brave for a goat and a turtle. In Gertrude and Toby Meet the Wolf, the story intermixes The Boy Who Cried Wolf along with The Three Little Pigs. Author Shari Tharp won a silver medal from IPPY, Independent Publishers Book Award for the first book in this series as an illustrated e-book with Gertrude and Toby’s Friday Adventure. Illustrator Jim Heath is a graphic artist and California resident. The Gertrude and Toby books are for children from preschool to age eight who have a little background with the traditional fairy tales. The books are fun with vocabulary appropriate for the age level and the illustrations perfectly matching the text. 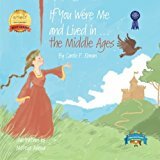 These are great books for expanding imaginations with young children and a creative step-off point into having the readers write and illustrate their own Gertrude and Toby fairy-tale adventure. If You Were Me and Lived on Mars allows you to think into the future, maybe the year 2054 when you might be able to walk on the planet, Mars. To be travel to and from Mars would have to be only when Earth and Mars were lined up for a quick trip which would take about two years. Children could also go there with their parents. How can anyone possibly consider living on the red planet of Mars? The air pressure is too thin with too little oxygen and too much carbon monoxide and little atmospheric protection allowing too much radiation for humans to survive. Also on the planet are no natural resources to provide housing as will as water, food, extreme temperatures, air and all of the everyday necessities. Outside the living area would uninhabitable without a special suit to compensate for the differences between Mars and Earth. 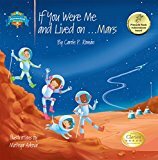 For this imagined book to be possible, all of us on this planet now need to aware of the facts of what we now know about Mars to make this dream a reality. 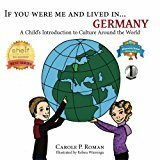 If You Were Me and Lived in Germany allows every reader to experience life in the country that is the most populated in the European Union. What I adore about this book is the influence of the German people into the English language with words like league, cuckoo, folk, marinated, observatory, Oktoberfest, sauerbraten, throne, vinegar, and wurst. If You Were Me and Lived in the American West has a setting in the Willamette Valley in Oregon which was a possible destination of the Oregon Trail in 1835. Life was frequently difficult for many Americans settled along the east coast of the United States. Living off the land, made people depend on luck with the weather whether dealing with droughts or floods. The dream of the Oregon Trail gave people hope for a new better life. With the possibility of finding gold, many settlers left their old lives for the east coast of the United States. It is hard today to imagine putting everything you own into a covered wagon and slowly walk the distance across the country on trails, but not paved roads. You also needed to carry all the food and supplies needed along the route as well as to begin this new life while traveling with a group of people similar to you. Would you want to be part of this experience? Near the end of this book, a list of the well-known people associated with this time. The illustrations perfectly match the text of theses educational and informational books. All three books include an appendix with the vocabulary and pronunciation guide unique for each. 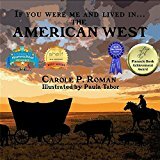 With these three books of living in another place in the future, present, and past, Carole Roman transports readers of all ages into a realistic time machine of their imagination with her as their travel guide. For all children, a birthday party is exciting. When the invitations are delivered to each person in a class at school, the anticipation of each child is thrilling. However, what if one child is left out. Mark is not invited to the party. The afternoon of the party, he goes into the park, but it appears vacated, even the birds are gone. Surprisingly, Mark discovers two of his classmates also in the park who were not invited to the party. Yuna and Adrian begin to climb a tree with Mark. From their high perch, they quickly view the nearby sea which is rising rapidly around nearby buildings. 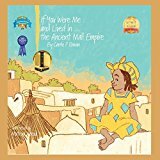 If You Were Me and Lived in the Ancient Mali Empire begins in the year of 1322 and covered much of the area of Western Africa from the Atlantic Ocean to the Sahara Desert including the current area of western Sudan. Reflecting on both the time and the area is a typical Islamic family including a father with many wives. For this particular family, there is a total of seventeen siblings with the perspective from a favored daughter. Essential to both the time and area were the trade routes uniting Asia and Africa in their exchange of gold, salt, silk, and slaves. Some people just seem to be doomed. Warren is a typical twelve-year-old. Unfortunately, both his parents are dead. Fortunately, his Uncle Rupert is his guardian. Unfortunately, his Uncle Rupert is married to Aunt Annaconda. Warren is responsible for his ancestor’s hotel. Warren the 1st planned the building with his son, Warren the 2nd, who built the hotel. For years, Warren’s ancestral line has managed and kept the multitude of secrets hidden within its walls, even the all-seeing eye. Being that Warren is a descendant of this prestigious lineage, he works endless hours maintaining his legacy. Unfortunately, Uncle Rupert is lazy, and Aunt Annaconda is a witch. Fortunately, the hotel has not a customer for five years. Unfortunately, or perhaps, fortunately, an automobile is approaching the rambling, broken-down hotel. The visitor doesn’t speak, just communicates with cards. Can the new tenant speak? Why here? Why now? Why is the hotel suddenly full of customers? Imagine living in England during the year 1072. 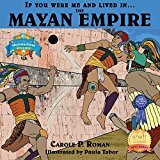 To help you, former social studies teacher, Carole Roman along with illustrator, Mateya Arkova, have created the perfect tool for transporting each of us into that time and place through the pages of this exquisite book. The paperback explains how life changed from when the Romans controlled the country and their contributions to the change of the Renaissance period beginning around 1400 A.D.
By taking a reading journey into each fiefdom, you learn about the world of knights who sold their services and life as a servant or vassal. 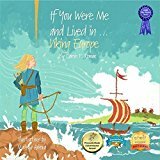 This book is through the eyes of a daughter whose father was a knight in William of Normandy’s army and rewarded with land for being victorious with the invasion of England. Describing life inside the keep is picturesque. Also, well-represented is the perspective from being a peasant. I find the section regarding the medical field fascinating, but obviously not the healthiest. Imagine a herd of elephants. Visualize the multitude of sizes inside the mass of gray. In this particular herd, all the females have skin the color of candy pink with exceptionally bright eyes. What an obvious way to distinguish girls from boys? Apparently, this color difference occurs from eating only anemones and peonies in an enclosed garden. Although not exactly nutritious, these plants are not obviously harmful. Everyone is so proud of this uniqueness; the females even add pink clothing and accessories to intensify their pinkish beauty. All the girls are expected to stay within the confines of the garden. Why would they want to leave? Isn’t being pink and dressed in pink collar bibs, pink bows on their tails, and pink shoes a perfectly pink life? Have you ever been teased about something that you could not change? Do you have a big nose, red hair, large ears, or big feet? At some time in your life, you probably have been teased about some feature that distinguished you. It is a fine line between having a distinguished, unique gift or an embarrassment which you cannot easily or quickly change. Why can some people accept their physical differences as gifts while others see these attributes in humiliation?